Thank you for taking the time to share your insights. Our Vedic family and friends appreciate your insights very much. By the way if you have a Panchakarma account, you can also login and review products or comment reviews quicker and without needing to type in your name for each review/comment. 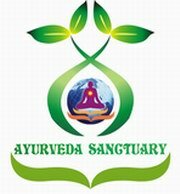 If you wish you can create a Panchakarma account now. I would like to highlight my experience : The place is natur ..